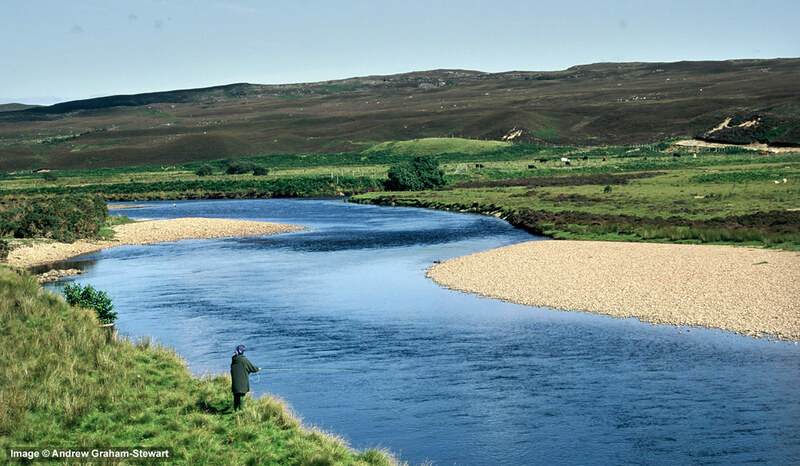 The River Halladale is a medium sized spate river, running north for 22 miles from its source in the Flow Country near Forsinard to the sea at Melvich Bay. 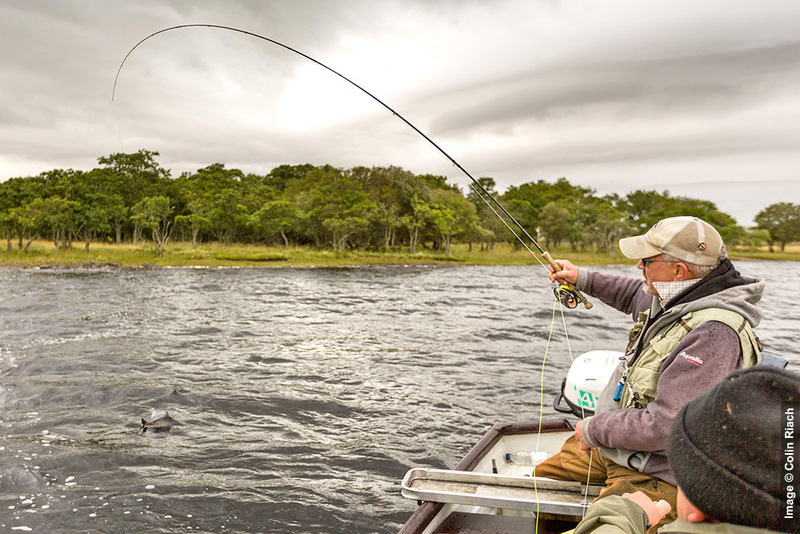 Annual salmon catches average around the 600 fish/year. All the fishing is private with no day tickets available. Very spate dependent but after heavy rain, sport can be prolific. Permits £25/day, The Store, Bettyhill. Tel: 01641 521207. 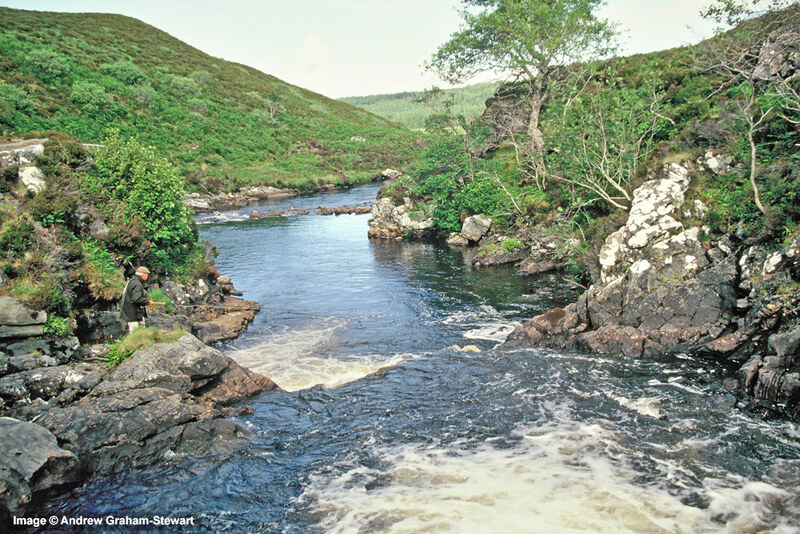 The River Naver is one of the best salmon rivers in the Northern Highlands and a reputed spring river. 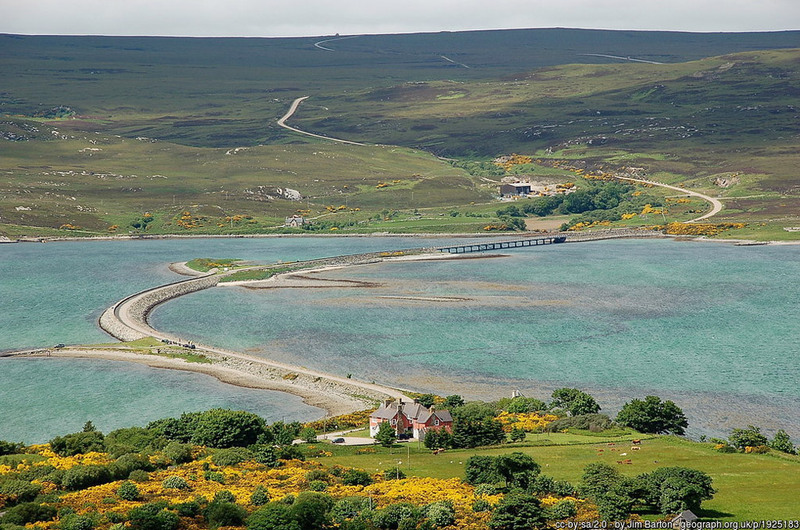 It flows 21 miles northwards from Loch Naver to Torrisdale Bay. 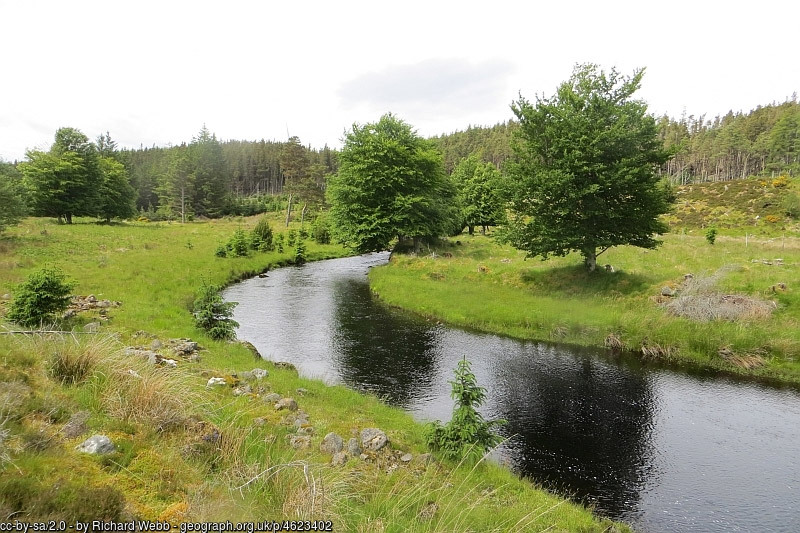 There is one important tributary, the Mallart, and in addition Loch Naver is also fished for salmon. 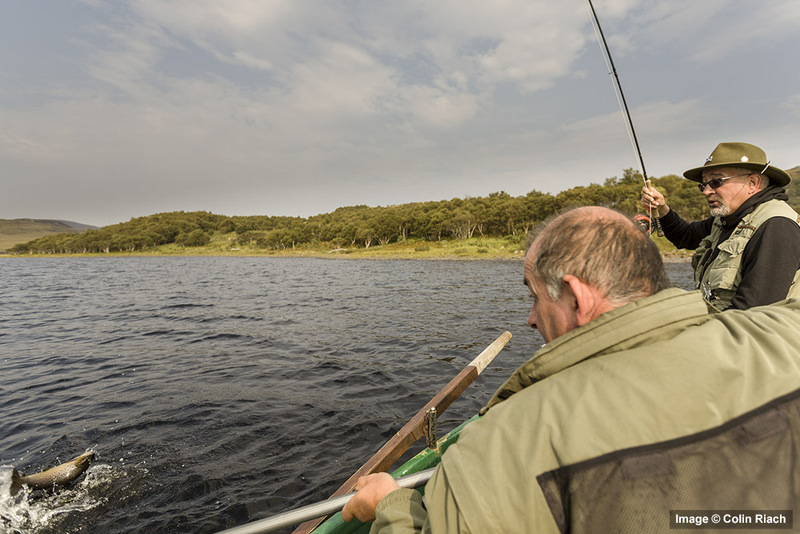 All of the main beats are let privately with Estate accommodation, but there is some fishing available through the Bettyhill Angling Association. The estuary beat is downstream of the road bridge, and is tidal. Sea trout fishing only. Permits £5/day from The Store, Bettyhill. Tel: 01641 521207. Two and a half miles of double bank fishing, partly tidal. Mon-Fri, 9:00a.m. to 6:00 p.m. only. Permits £25/day from The Store, Bettyhill. Tel: 01641 521207. 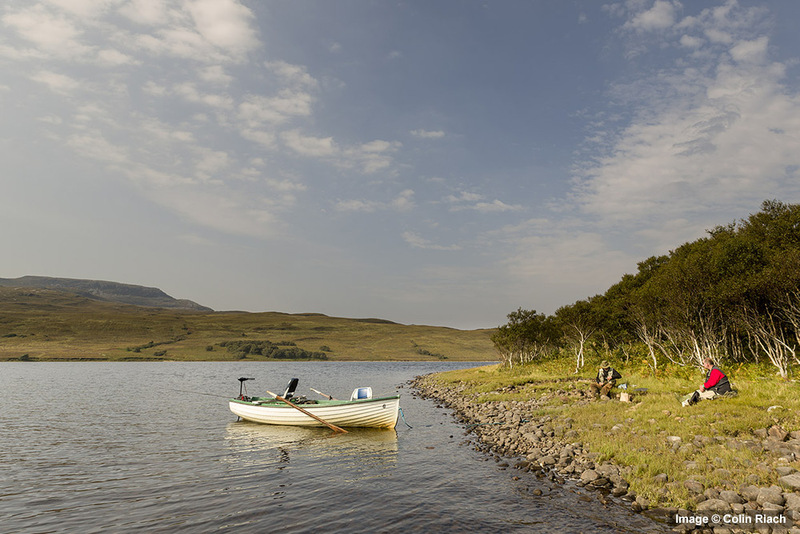 Although Loch Naver is home to brown trout, the loch is best known for migratory fish being one of the best salmon and sea trout lochs in the Highlands. 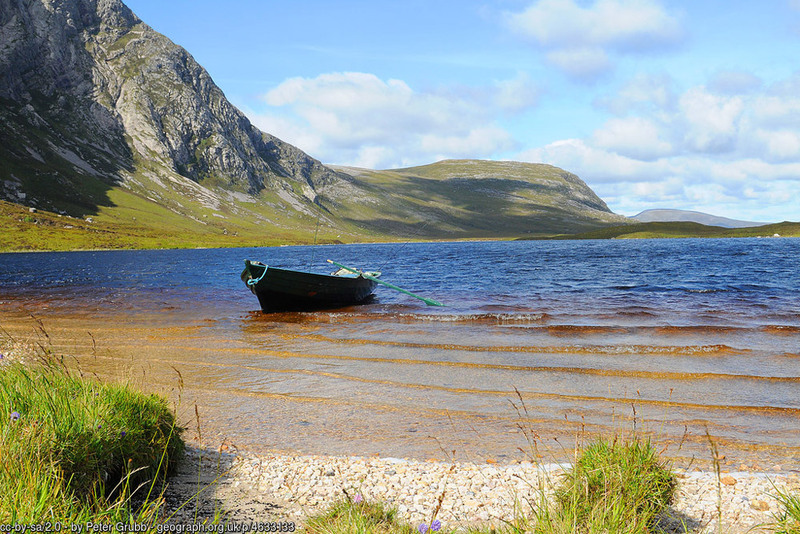 Boat hire is available on Loch Naver, with optional ghillies. Boat hire £80/day inc outboard, for guests of Altnaharra Hotel, Tel: 01549 411222. 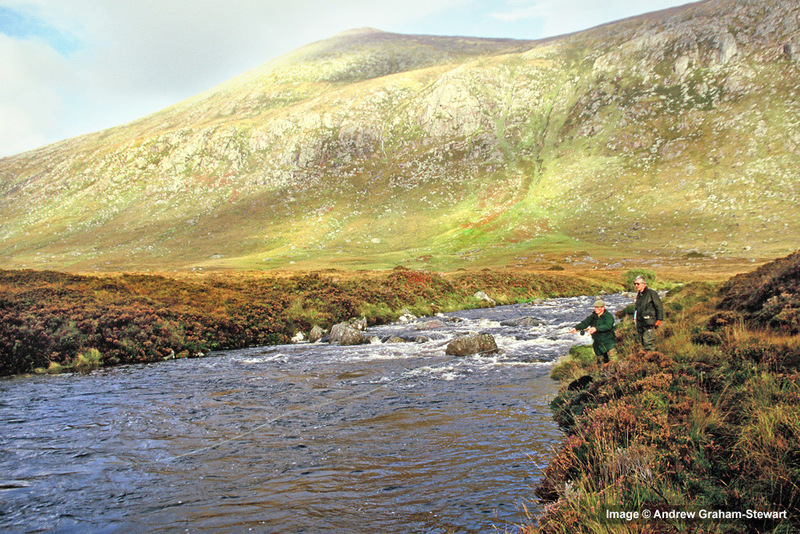 Up to 8 permits per day for salmon fishing are available from the Borgie Lodge Hotel, . Permits from Borgie Lodge Hotel, Borgie. Tel: 01641 521332. 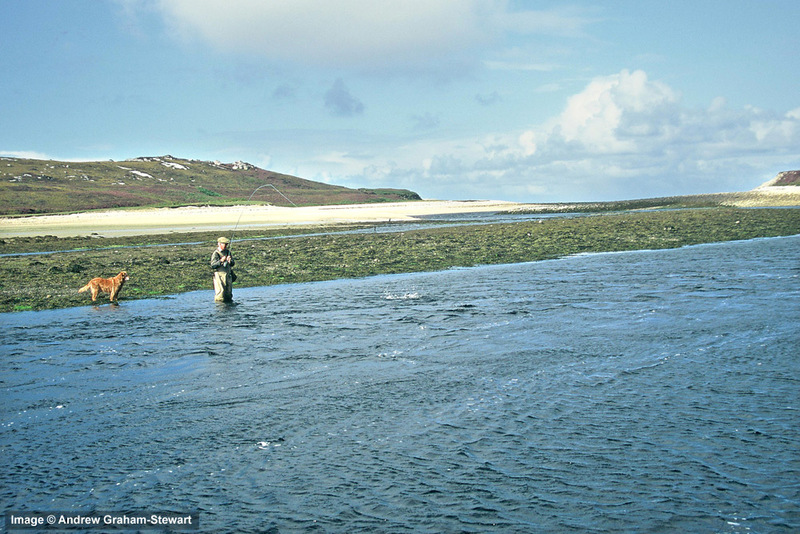 Permits for sea trout fishing are available on the Kyle of Tongue, via Tongue Angling Club. Permits £10/day, from Ben Loyal Hotel, Tongue. Tel: 01847 611216. 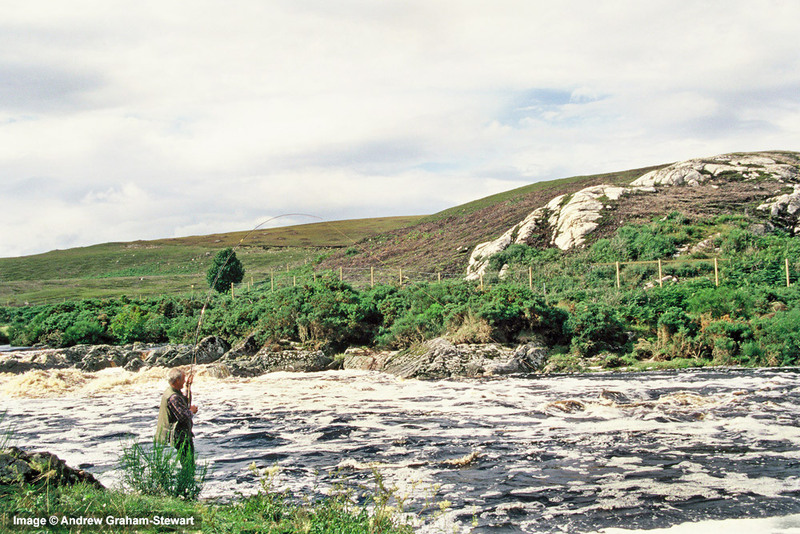 The Strathmore river flows north for 6 miles into Loch Hope, one of Scotland's best sea trout lochs. 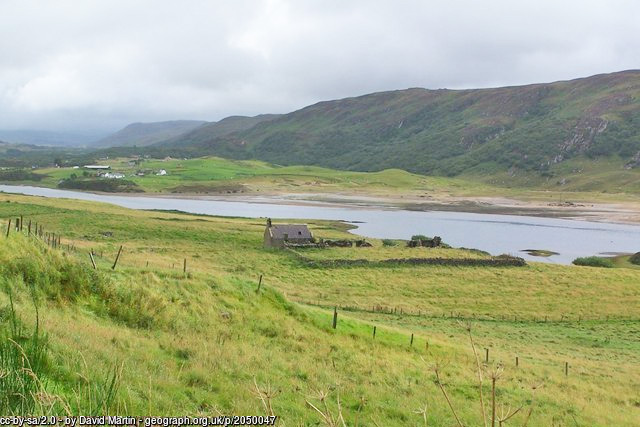 The loch is six miles long and drains into Loch Eriboll via the one mile long River Hope. * Please note images below of Loch Hope do not necessarily relate to named beat. 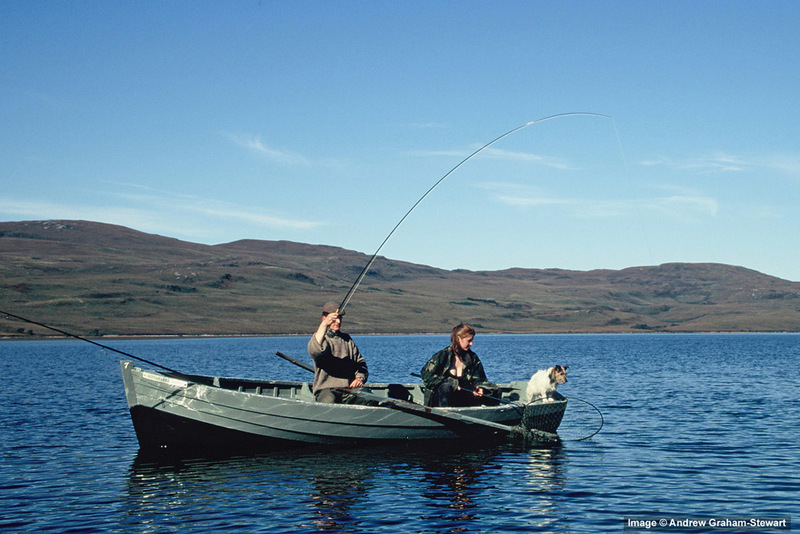 Boat hire is available on Loch Hope, but no bank fishing. Optional ghillies by arrangement. Boat hire £66/day, £99/day inc outboard. Contact CKD Galbraith. Tel: 01738 451600. Boat hire £66/day, £99/day inc outboard. Contact CKD Galbraith, Tel: 01738 451600, or Boat hire £85/day inc outboard, for guests of Altnaharra Hotel, Tel: 01549 411222. Boat hire £85/day inc outboard, for guests of Altnaharra Hotel, Tel: 01549 411222. Access to the 6 rotating beats of Gualin Estate including Loch Dionard is provided for guests of the Scourie Hotel, sold as 2-rod beats. Scourie Hotel. Tel: 01971 502396.